A Chinese restaurant in Shijiazhuang, Hebei Province, has gone viral for selling the new world’s most expensive beef noodle soup, priced at a whopping 13,800 yuan ($2,014). The outrageously expensive “Haozhonghao Beef Noodle Soup” sold at the Niu Gengtian restaurant in Shijiazhuang has been getting a lot of attention on Chinese social media after a photo of the menu showing its price went viral online. 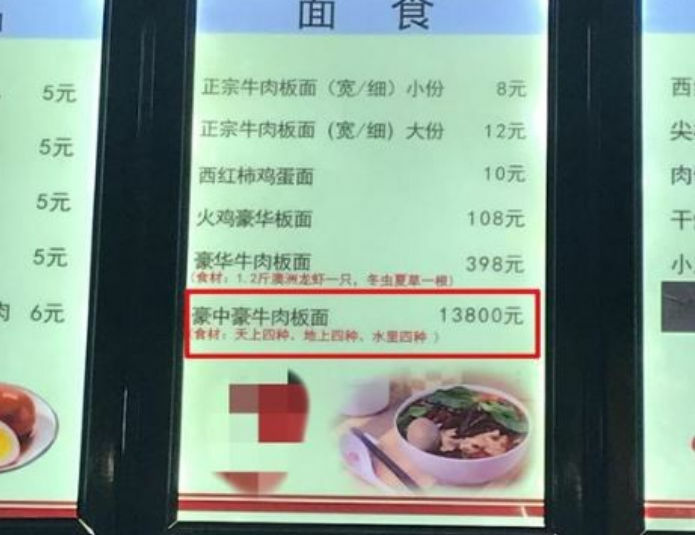 Considering that a bowl of the now second most expensive beef noodle soup sold by Taiwan’s Niu Ba Ba restaurant costs “only” $329, it’s easy to see why this 13,800 yuan ($2,014) soup has become the talk of the town. So what makes Haozhonghao soup so expensive? Well, it’s tough to say, really. Local media visited the restaurant and asked the manager, surnamed Yan, the same question, but didn’t get much information. The man said that the delicacy is prepared using 12 very expensive ingredients – four from the “sky”, four from “land” and four from “sea” – but didn’t go into details about them. He also mentioned that it takes 12 chefs to prepare the soup, and that an order must be placed a month in advance, so all the needed ingredients can be procured. Haozhonghao soup was added to the restaurant’s menu six months ago, and Yan said that he has sold four bowls of it since then to financially well-off business owners. In response to accusations that he is scamming his customers, the manager said that the cost of the ingredients and of the cooking process is so high that he doesn’t really make any money selling the soup. At first, most people who saw the photo of the menu and the 13,800 yuan price thought that it was a joke or a simple typo, but Sin Chew Daily and other media outlets that visited the restaurant later confirmed that the price was real. 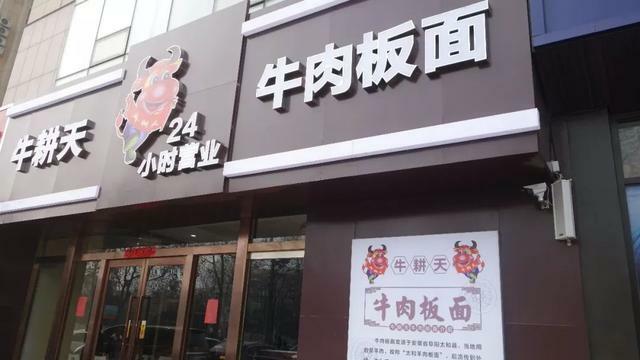 In light of these revelations, Chinese netizens joked that the beef noodle soup was more expensive than a cow, while others accused management of using it as a gimmick to promote the restaurant. Some even notified the Xiaxi District Pricing Bureau of Shijiazhuang City about the outrageously priced soup, but officials there put out a statement that as long as the price is clearly stated to customers, there is nothing illegal about it, so the bureau has no right to intervene. So if you’ve got $2,000 to burn on a soup, head on over to Shijiazhuang. Just remember that you have to order it a month in advance, so better plan in advance.